the canadian prince of future vibes and dope remixes dropped a new album November 4th named Alone For The First Time. the album is fairly short, just 7 songs totaling 27 minutes. “Walk Me Home” is that classic internal battle between wanting to be with someone but knowing they’re not good for ya. put those lyrics over Hemsworth’s spin on what sounds like a ballerina music box and it’s an amazing song; you’ll find yourself torn between dancing and curling up in a ball of sad- the best kind of sad. “Snow in Newark” was the album’s first single, released September 22nd, 2014. this track is ESSENTIAL. this song is a sincere and relatable piece, you can’t help but wanna give ryan a big ol’ hug because he’s just so adorably glum. 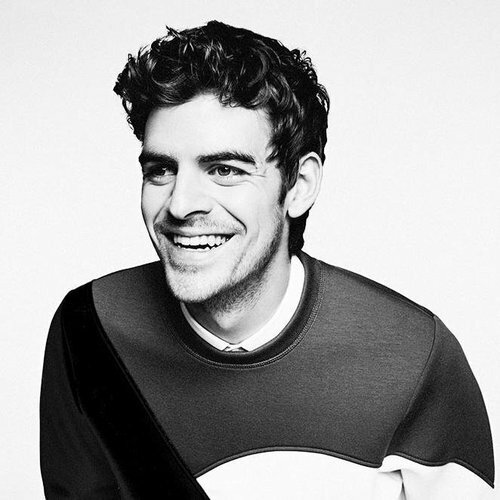 “I call my music happysad, one word, no spaces,” Ryan Hemsworth says, and that’s exactly what this is. “Blemish” is an instrumental electronic track, which is very different than the typical, crazy instrumentals that start to sound repetitive and almost aggressive, because Hemsworth’s mellow and unique style is so vibe-able. “Too Long Here” opens up with the lyric “Who ever thought of a big train / Going right in your mouth”. it’s a lonely song about feeling lost, but in a really common and not necessarily sad way. i think this is my favorite song on the album because the meaning isn’t really clear, so everyone’s gonna interpret it differently. and Alex G’s voice is dope, so that always helps. “Surrounded” is great. the voices, one computerized-sounding, one soft and very classic, create a cool contrast with the electronic beat and bass. you really notice Hemsworth’s DJ skills on this track- they’re impossible to ignore. finally, the last hoorah, “By Myself”. this is such an amazing song, and i love the way Hemsworth, GTW & Little Cloud worked together, because the song seems accessible. you can relate to the lyrics and the beat, and you can be alone but with someone else, as the song is saying. it’s a cool way to end the album because when it finishes, it winds down to nothing and you do almost feel by yourself. 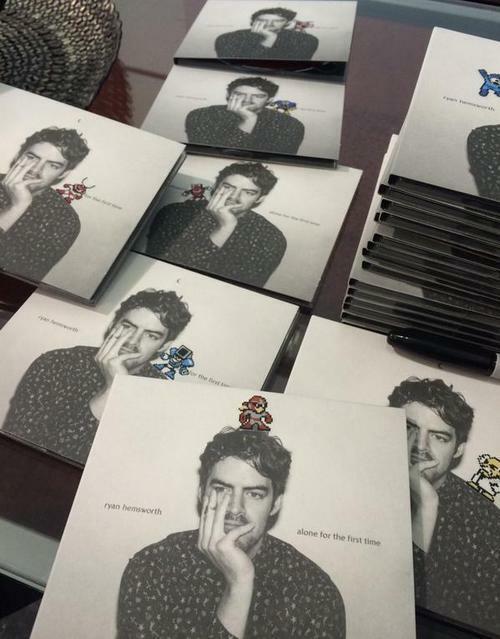 overall, the album was a really successful project, and i think Ryan Hemsworth is just on the come up. he’s been touring around the world, doing big festival appearances and college fling concerts, but he’s had time to make this album and be really involved with his fans. he replies to a majority of the tweets he receives, and answers all of his tumblr asks, which reveals how humble and, honestly, timid he is. when a fan complimented his performance at the University of British Columbia, he replied “i felt funny at ubc for some reason.. i dunno if i’m good at like big college spring fling parties? or just 2 self conscious lol.” it’s essentially impossible to dislike Ryan Hemsworth as a person, which makes his music that much more attractive.